This beautiful bracelet is a delicate addition to the Love Bridge collection by Thomas Sabo. This fabulous accessory is crafted with 18ct Yellow Gold plated Sterling Silver for a glamorous bracelet to wear day and night. The rich gold tone creates a stunning two tone look when worn with your silver jewellery. 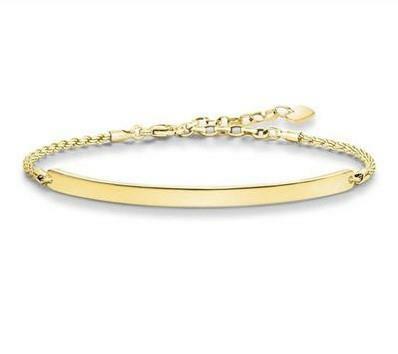 Embracing the bar jewellery trend, this Thomas Sabo bracelet is a classic style that will never go out of trend.